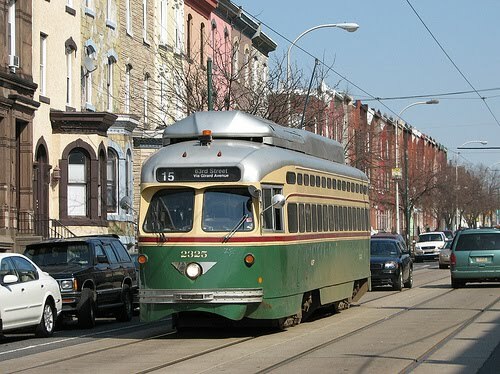 We don't have any kind of newer light rail system here in the urban hellhole, we have trolleys. 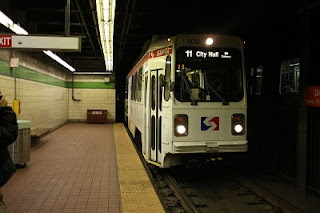 5 lines run from Center City to West Philly, one line runs across the city a bit north of that and 2 lines operate entirely in the suburbs. Ridership appears to be going up quite a bit on these lines. Curious about why. There's a 3rd trolley-like suburban line which I think is officially classified as heavy rail. 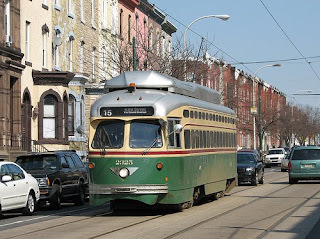 ....the route 15 is the only retro line, though the other five urban lines aren't exactly new. Here's one in the tunnel.